Quick Note on Preserving Herbs! Hey guys! I’ve been meaning to do this post for a while and, since I have just gotten back from a week (of eating bagels) in New York and I had to do some herb drying before I left so they didn’t go off, this seems like a good time. 1. Dry them. So fricking easy. 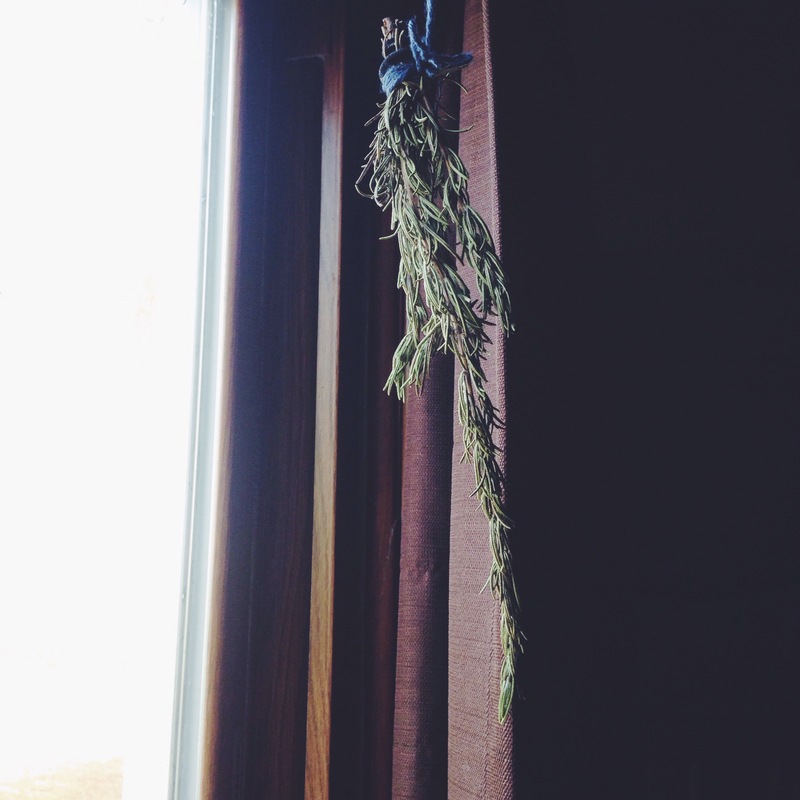 How do you dry herbs? Um… You hang them upside down. That’s it. Then when they’re dry pick off the leaves whole (like for Rosemary) or grind the leaves with a mortar and pestle (like for oregano or basil) and store in small jars or whatever. This is great because dried herbs are expensive if you want any sort of quality… And because things like mint or sage etc. can used to make tea as well. Money saving swag. 2. Freeze them. You can blanch and freeze herbs but I prefer another way I learned from my old boss, who is crafty and awesome. Finely chop up the fresh herbs like you would if you were going to use them for cooking. Then measure out one tablespoon servings and put each one in an ice cube tray. Fill up with water and freeze. When they are frozen, pop the cubes out and store in freezer bags in your freezer. Then when you need fresh herbs for cooking, you have ice cubes with a tablespoon of the herb in it, and you can just throw the cube in! (The amount of water won’t matter to the recipe). This is really good for herbs like parsley, oregano, and thyme that go in a lot of soups and sauces. That’s all for now! Give herbs a chance!